The Penn State University data and research community has developed numerous applications, tools, and models that are accessible to the public. These Apps & Tools cover a wide range of themes and research interests and help to enhance teaching, outreach, and collaboration. A breeding bird atlas is a field project designed to map the distribution of all bird species in a region during a particular time period. Atlases bring together volunteer bird watchers, working as citizen scientists, and professional ornithologists into an effort of monumental proportions, providing great conservation benefits and personal satisfaction. 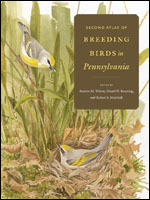 This site provides access to species maps from Pennsylvania’s Second Breeding Bird Atlas, as well as background material on the project, its support, and publication. The Simple Online Data Archive for Population Studies is the Population Research Institute's data archive. Datasets are arranged in collections by title. Within each collection, users may view descriptive information including links to abstracts and originating agencies or investigators; search the content of each collection for relevant variables; search across collections for variables; view accompanying electronic documentation; and finally, extract for download a personally tailored analysis-ready subset of a data collection in a format of their choosing - SAS, Stata, or SPSS dataset and comma or tab delimited format. Coal mining has occurred in Pennsylvania for over a century. The maps to these coal mines are stored at various public and private locations (if they still exist at all) throughout the commonwealth. The Pennsylvania Department of Environmental Protection, Office of Active and Abandoned Mine Operations (DEP) is involved in many projects dealing with historic and active mine map restoration and digitization. The DEP has tried to preserve the historic information contained on these maps by scanning the maps into a digital image. The HydroTerre Data System (HTDS) is a data infrastructure that enables research on water model development on a national scale. It represents a robust, reusable, and extensible framework of data management building blocks, and demonstrates the utility of these infrastructure tools that scale over geospatial extents such as rivers, river basins, and systems of rivers. HydroTerre aggregates and pre-processes essential terrestrial variable data from federal agencies at different geospatial resolutions and over varying temporal scales; it improves access to federal data; makes community data resources available via federation; and can interface with other community activities (e.g CUAHSI Hydroshare) to provide registration of new community data sets. Penn Pilot, a project sponsored by the Pennsylvania Geological Survey and developed by the PSU Center for Environmental Informatics, is an online library of digital historical aerial photography for the Commonwealth of Pennsylvania. Using the interactive map provided on this website, you can browse, view, and download thousands of photos covering the Commonwealth from 1937 to 1942 and 1967 to 1972. The Cuticle Database Project, hosted by the PSU Earth and Environmental Sciences Institute, aims to promote the understanding and identification of living and fossil plants using the first large, unrestricted visual library of leaf cuticle available on the Internet. Most specimens so far deposited are illustrated with two images, showing the upper (left) and lower (right) cuticle surfaces. The images are accompanied by metadata, including herbarium voucher data that can be queried through either the simple or advanced search options. Forages are environmentally friendly in that they can reduce soil erosion, pesticide usage, and fertilizer application. In addition, forages can increase soil structure and organic matter and enhance agricultural profitability. In conclusion, Pennsylvania agriculture is synonymous with forages and their production and use. This interactive application serves as the One Stop Portal to all imagery and raster data by, for, or about Pennsylvania. Capabilities of the Navigator include viewing data, search and retrieval of data, and creating a list of imagery or raster data to download. Functionality includes navigating the map, zooming automatically to a street address, and downloading the available images in MrSID, JPEG 2000, or TIFF formats. Dynamic links are included for images that are available from multiple time periods, data providers, and formats. PIHM is a multiprocess, multi-scale hydrologic model where the major hydrological processes are fully coupled using the semi-discrete finite volume method. The model itself is "tightly-coupled" with PIHMgis, an open-source Geographical Information System designed for PIHM. The Farm Energy Analysis Tool (FEAT) is a static, deterministic, database model, that was created to use a whole-farm approach to evaluate energy and greenhouse gas (GHG) emissions for different agricultural systems. This simple, yet effective, computer modeling approach allows for a rapid evaluation which provided useful estimates needed for agricultural researchers. CropSyst is a is a user-friendly, conceptually simple but sound multi-year multi-crop daily time step simulation model. The model has been developed to serve as an analytic tool to study the effect of cropping systems management on productivity and the environment. The model simulates the soil water budget, soil-plant nitrogen budget, crop canopy and root growth, dry matter production, yield, residue production and decomposition, and erosion. 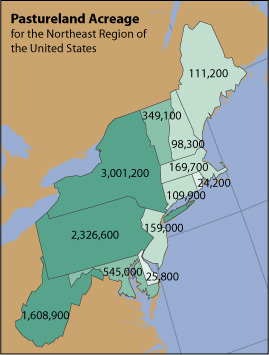 The Pennsylvania Atlas was designed to provide enhanced visualization and data download capabilities through an online mapping interface. With the PA Atlas you will be able to view, download, and create your own maps using data available through PASDA. The data in the PA Atlas includes statewide boundary files, transportation, wildlife, conservation, recreation, and health data layers to name a few. Users can search for data by county or address or simply zoom in to their area of interest. By using our identify function, users can see data attributes such as road names, traffic counts, state park names and link directly to websites related to data for more information. If you would like to create your own map, simply select your data layers and use our map making function to create a PDF, JPG or PNG file to download. The datacommons@psu is made possible through resources provided by Penn State Institutes of Energy & the Environment, the Penn State Institute for CyberScience, PSU Research Computing & Cyberinfrastructure.